Sorry that posting here at Idiot’s Kitchen has been a bit light lately. I have a couple of times in the orchestra season where my schedule gets completely crazy. This is one of those times. There’s not a lot of time for anything other than flute playing, driving to and fro, and in the case of last week, flying to Minnesota THEN driving to and fro. 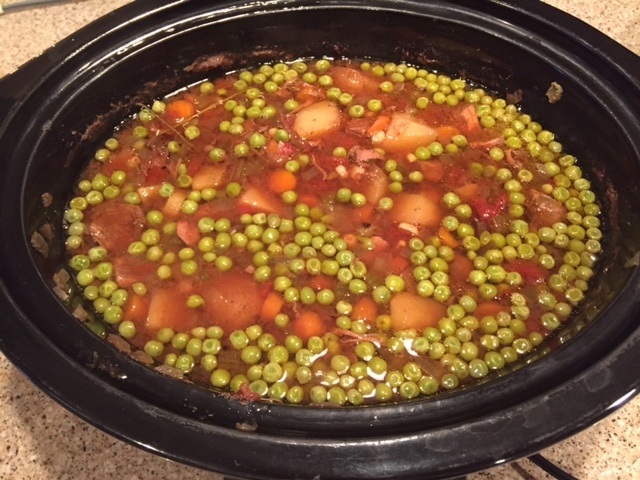 Thankfully there are recpies like this Crockpot Beef Stew to get us through those crazy times. In a sign of just how busy I was when I made this, I decided about halfway through to take a few quick photos with my iPhone just in case this stew turned out to be something worth sharing. 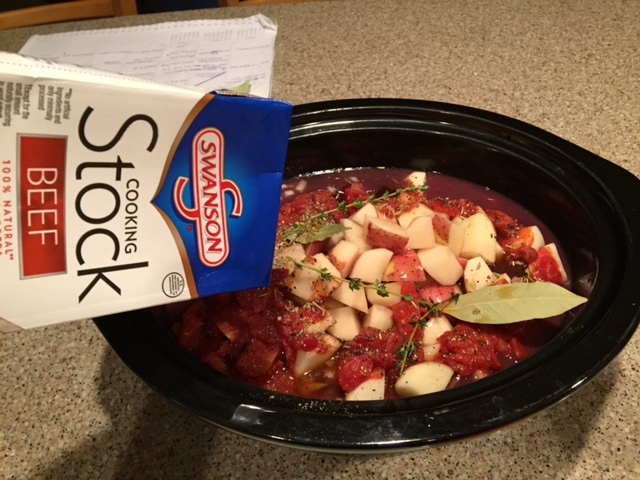 Happily, Crockpot Beef Stew turned to taste awesome, make a ton, and is even better leftover. Some of our usual photos like the ingredient lineup are missing here, but hopefully it’s not too tough to get the idea. 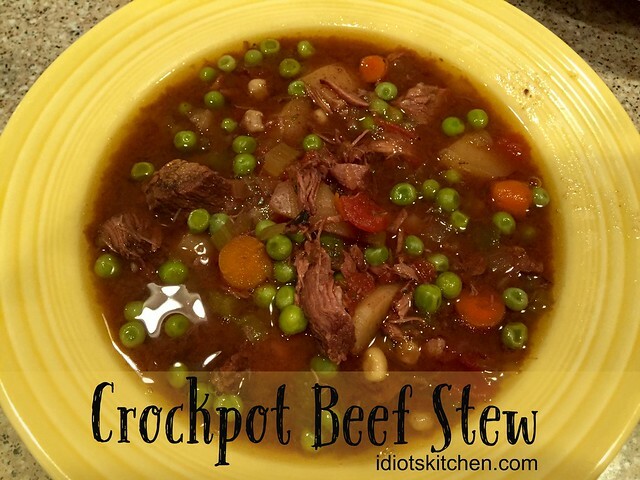 Stew is not a precise science so don’t worry if you are a little short of this or that ingredient. These are all approximate measurements. I did all of the prep work for the ingredients pictured above the night before so all I had to do was dump and run early the next morning. Chop up 1 large onion, 2-3 ribs of celery, and 3-4 carrots. Those all went into a container with about 1 cup of frozen corn. This stew is a great way to use up any little leftover bits of frozen veg that might be languishing in the back of your freezer. Have some frozen green beans? Toss them in! 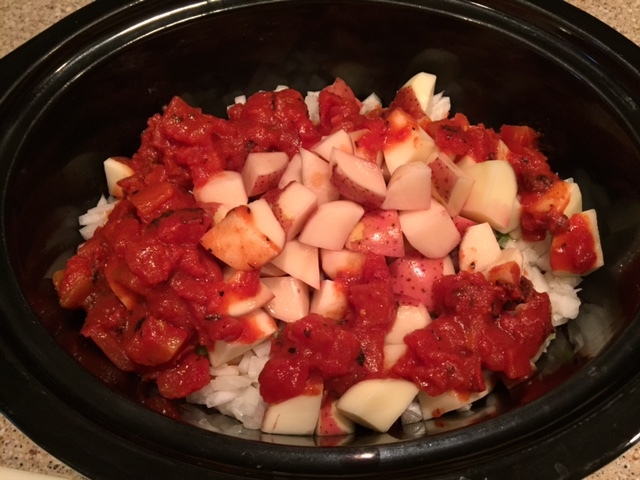 I also chopped up about 3 cups of red potatoes, put them in a container, and covered them with water. This keeps the potatoes from turning gray. Simply drain off the water before you toss them in the crock pot. I have a 3 pound beef chuck roast (pot roast, same thing) that I have trimmed and cut into cubes. 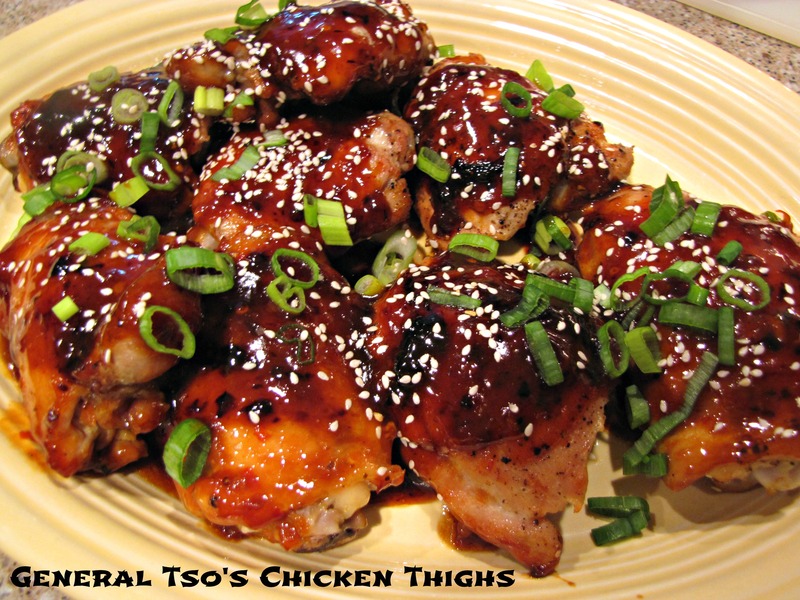 I have a HUGE crock pot (6 quart capacity) so if yours is smaller, adjust the amount of ingredients accordingly. 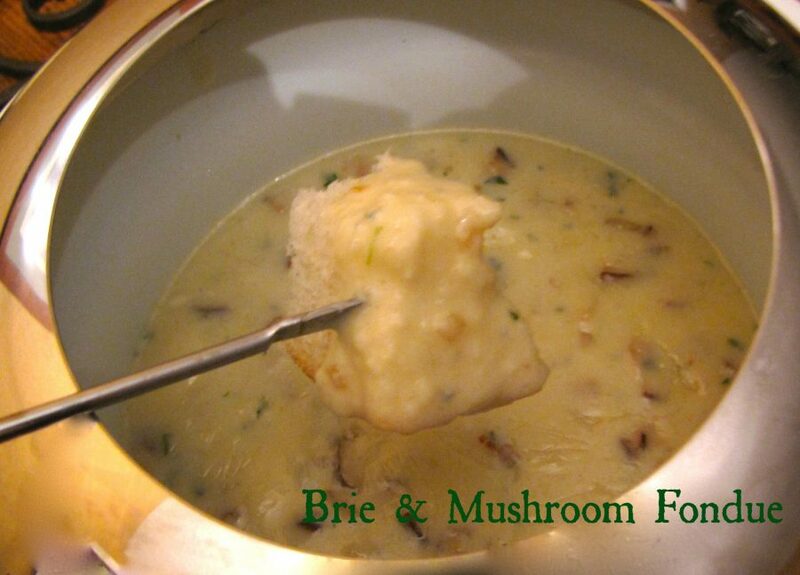 ALSO, no slow cooker, no problem…this can always be made in a big pot on the stove. 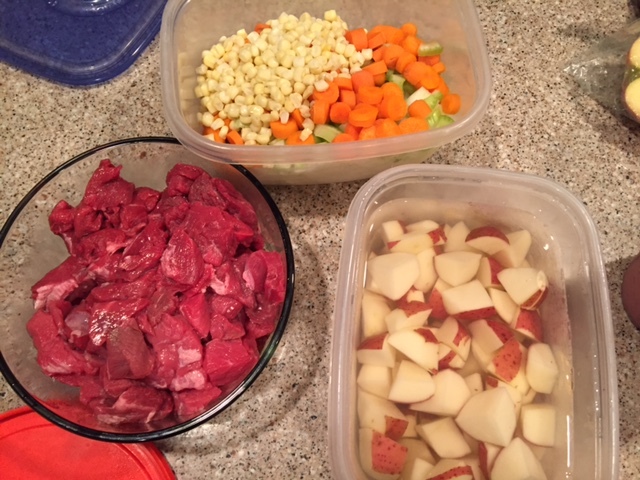 With my main ingredients all prepped and ready to go, way too early one morning last week I put the meat, drained potatoes, and veggies in the crock pot. Add 1 (14 oz.) can of diced tomatoes and add 4 cups of beef stock or broth. Pour in 1 cup of red wine for extra flavor. I also added about 1 cup of water so that the liquid came up to the top of my other ingredients. 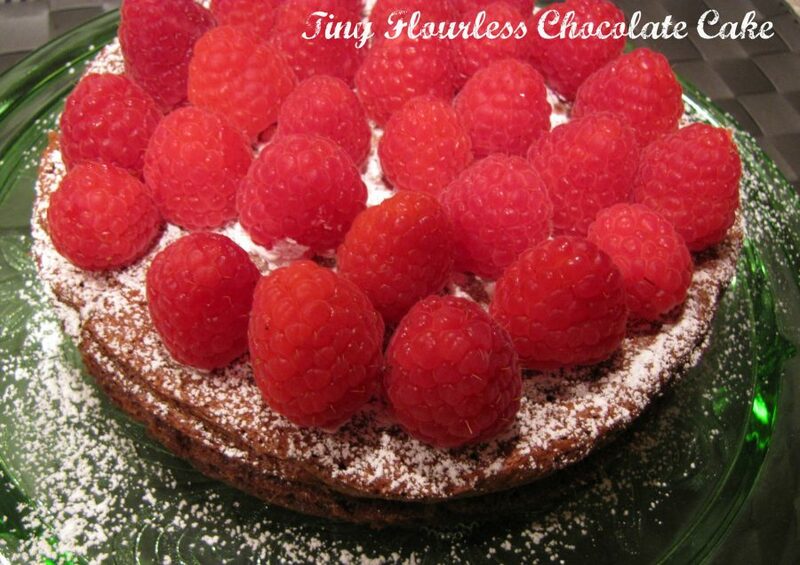 You might need to add more liquid as it is cooking if it seems that the stew is too thick. Toss in a few sprigs of fresh thyme, 1 teaspoon of dried oregano, and 2 bay leaves. Season with salt & pepper. Go easy on the salt unless your stock is already low sodium. Stir everything together to combine, cover with the lid, and cook on low for 8-10 hours. When I got home, I added 1 cup of frozen peas and let it cook for about 30 minutes more. I waited to add the peas because I wanted them to stay bright green and not get too mushy. Give the stew a taste and adjust the seasonings of salt & pepper. 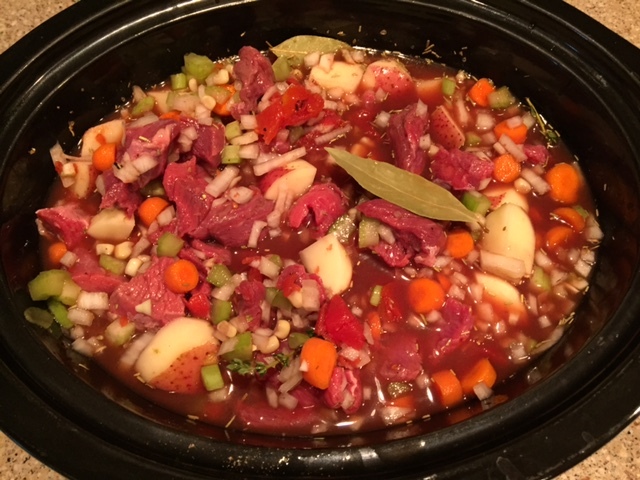 It made me exceedingly happy to walk in the door and find this beautiful Crockpot Beef Stew waiting for me. My stew cooked for 10 hours on low. 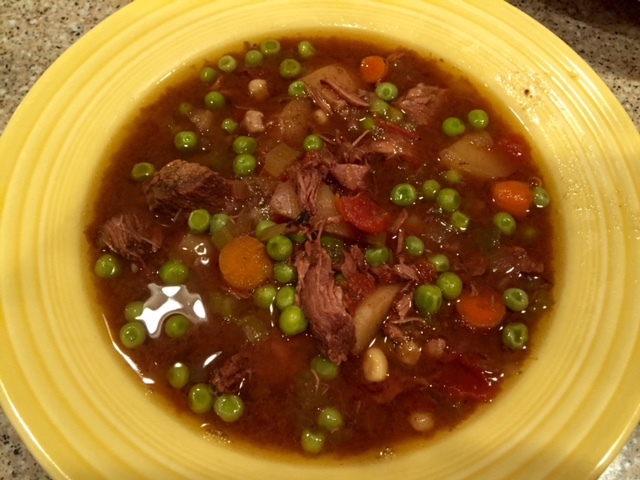 The beef became super tender and the liquid of the stew had robust flavor. It really didn’t need any tweaking at all. I made a quick green salad and called it dinner! 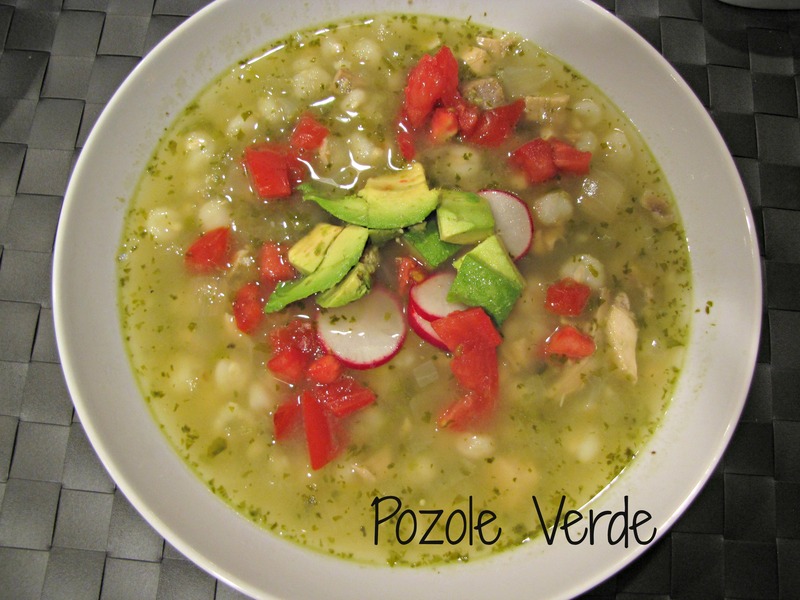 This makes 8 hearty servings and like most soups and stews, tasted even better the next day. We had enough to freeze a container for later…or we would have but Jim had to eat something while I was out of town and he got dibbs on the stew.